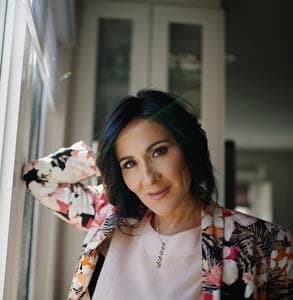 The Scoop: Laura Bilotta has been in the dating industry for 16 years and has positioned herself as one of the leading matchmakers in Toronto. Her company, Single in the City, offers comprehensive dating services to support clients in the Greater Toronto Area. Laura has developed one-on-one dating coaching, hands-on matchmaking, and special-interest singles events to help her clients improve themselves and land a terrific date. Now she plans to expand these services to include an online webinar that teaches single men how to become more confident and capable daters. Laura’s new self-help program will offer actionable insights for singles struggling to get a handle on the modern dating scene. Laura Bilotta wears many hats in the dating industry. She’s a matchmaker and dating coach, and she’s also a blogger and radio host. She has authored a book on finding a life mate, and she has built a company to help get singles dates. Whether she’s organizing a speed dating event or offering online dating management, Laura is a down-to-earth professional with a lot of expertise to share with singles. Laura founded Single in the City in 2002 to give Toronto singles dating resources they could rely on. Today, she runs the largest event-based dating company in the area. Laura Bilotta founded Single in the City in Toronto to help local singles meet new people at fun, low-key events. During her 16-year career, Laura has hosted over 1,800 singles events in the Greater Toronto Area, and she has Skyped with coaching clients around the world. Wherever she goes, she does her best to make the dating scene a friendlier, healthier, and happier place. Laura and her team take a hands-on approach to dating coaching and matchmaking. They’ll even take over their client’s dating site accounts and deliver potential matches to them, thus making online dating less stressful and time-consuming. Although Laura has been in the dating industry for a long time, she told us she continues to learn from her clients and grow her services to suit their needs. In the next year, Single in the City will expand to offer more online courses, host more niche events, and build on its reputation in Canada and beyond. Laura told us that men reach out to her every day asking questions about how to approach women and what to say to them. Some of these guys are painfully shy and stuck being single simply because they don’t know the rules of attraction or the nuances of dating. Single in the City offers dating coaching, matchmaking, events, and online courses to help singles find love. In recent weeks, Laura and her team have begun developing a webinar-style program to inform and support men in the dating scene. This online program will be there for clients when they need it. They can go through the materials at their own pace and in their own time, and it’s always there to refer to before or after a big date. The new program will teach men everything they need to know about approaching women with confidence and charisma. Its step-by-step guidance can help participants build self-esteem and feel more comfortable in social situations. Laura told us she will tackle important issues like what to wear and what to say when meeting someone new. Single in the City will add this online course to its library of resources and services that support singles on the journey to love. Whether you’re looking for a speed dating event, a matchmaker, or hands-on advice, you can trust Laura and her team to deliver the goods. Love stories like that are the reason Laura got into the dating industry, and she is gratified when she hears from participants who found love at her events. And there are many of them out there. Throughout her career, Laura has hosted over 1,800 events which have attracted over 82,000 participants in total. Single in the City welcomed the new year with a bang by hosting a singles party in Bangkok Garden. The problem with targeted singles events is they can be too focused. Maybe there aren’t enough single 30-something Asian professionals interested in speed dating in the Greater Toronto Area — but maybe there are. Laura has come up with an RSVP system to ensure she meets the expectations of her clientele and gives them enough options to be successful. Single in the City now encourages potential attendees to indicate their interest in prospective niche events. Singles can push a “notify me when available” button on TBD events for Christian singles, geeky singles, gay singles, and other types of daters. If enough people say they want a particular event to happen, Laura makes it happen. This gives her team a way to cater to the needs and preferences of singles and ensure its events are standing-room-only. 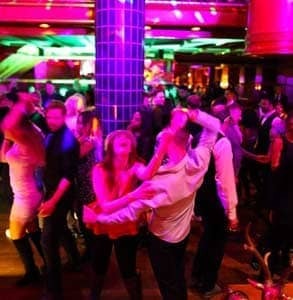 In the coming months, Single in the City will also host more dances for over-40 singles. These dances offer a fun and relaxed environment to mix, mingle, and ask someone to dance. Laura said she understands how difficult it can be for singles over 40 to meet date prospects their age, and her dances offer an old-school dating alternative to online dating and nightclubs. Single in the City provides comprehensive dating services that work for singles of all ages and backgrounds. Her matchmaking firm’s affordable pay-as-you-date model has allowed young professionals to join her network and meet compatible dates in Toronto, Mississauga, Oakville, Burlington, or Hamilton. The typical matchmaking client is a working professional between 35 and 50 years old, and the majority of her clients make at least 75k a year. These are well-established and successful members of the community. They don’t need help finding a date — they need help finding the right date. Laura can help with that. As a matchmaker, she boasts an 80% match rate and stands behind the quality of her singles network. Her experience, intuition, and insight have steered many singles toward their dream dates. Laura has spent over a decade building her reputation as a noteworthy matchmaker, events planner, author, and dating expert. She has written a self-help book and coached singles around the world, all while hosting thousands of events in Canada. Today, Single in the City has educated and assisted thousands of daters. The company’s niche dating services, resources, and events support singles looking for a relationship, and Laura’s positive encouragement and advice helps them gain confidence in the dating scene. At the end of the day, Laura’s job is to make the dating experience more enjoyable and rewarding — and that’s something she takes great pride in doing well.